It’s been a long 8 days, exhausting. I’m happy with the quality of my work this week, not estatic about sales (sold 4), but that is pretty much out of my control. I think the paintings I’m bringing back are great quality and will eventually sell. If you’re interested in these, make me an offer, framed or unframed (see the table below). The reception last night at the Sheridan Opera House was well done. My good friend (the nemisis thing was a joke, obviously) Scott Lloyd Anderson took First Place. He did a great painting of some Tibetan Prayer Flags flying from a nearby building, as did Randall Sexton, who took Third Place. It was interesting to see two of the winners painting the same, relatively obscure thing. 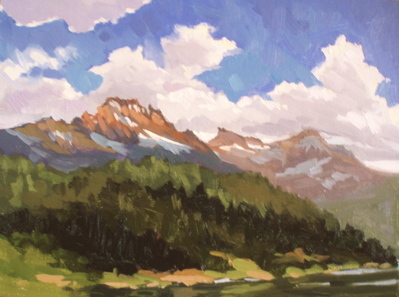 Second Place was won by Terry Masters, who did a “masterful” job of painting the view of the iconic falls from the Telluride Valley floor. 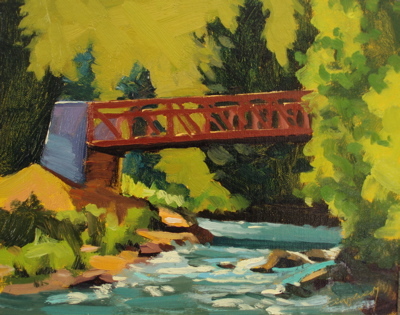 One painting per artist was available for sale via a silent auction. 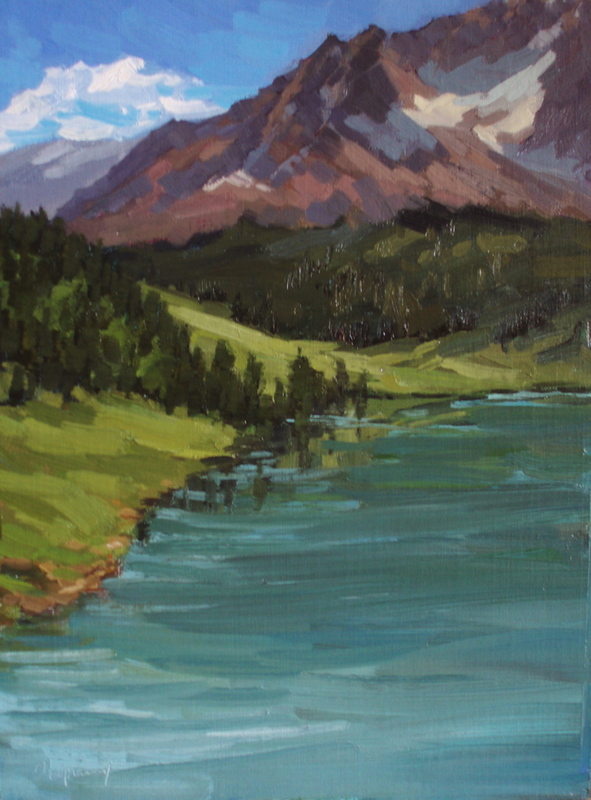 Luckily, I had a nice bidding war going for my painting, “Alta Lakes #2“–which, if you’re falling this blog, a majority of my readers voted as #1. Good call, everybody! 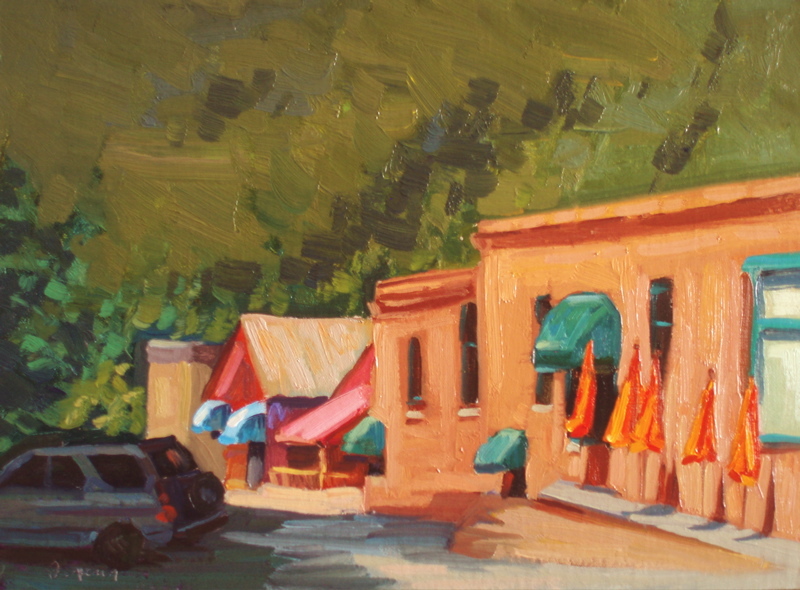 A wonderful Texan named Jeff told me, “My wife wants that painting, so watch out, she’s get’n it!” He was determined. I’m glad they won the bid, as they are a very nice couple.The general public sale yesterday was REALLY slow. 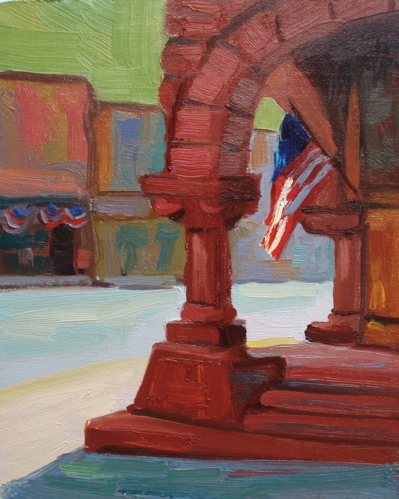 Many artists (including me) didn’t sell a thing. It was a weekday, we have to remember, so while there were some tourists out, not many regular locals or second home owners. They did come out today, so sales picked up quite a bit. 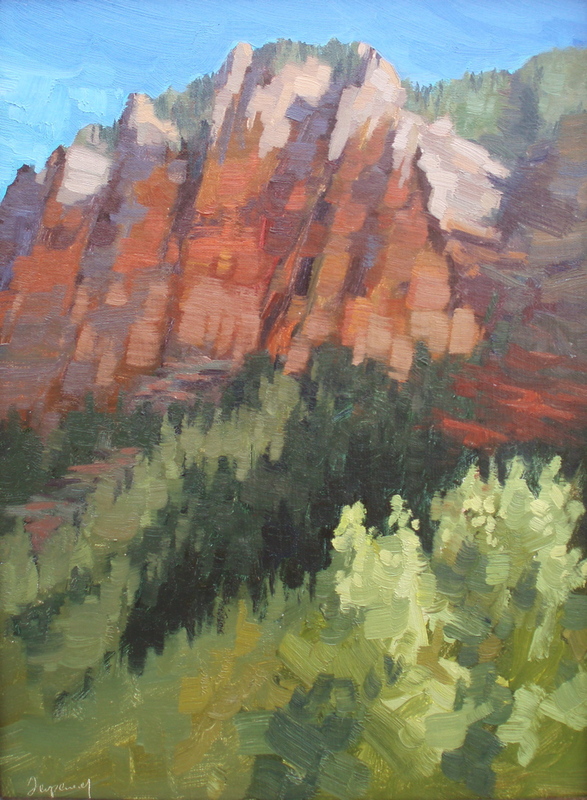 I sold both “Tellur ide Red Rocks” and “Telluride Gondola“, which is great because they’re both local scenes that would be difficult to sell elsewhere.I now have one week off (so to speak, I’ll be whipping things into shape at Wells Fargo), then I start ANOTHER week-long paint-out, “Jewel By The Bay” in Alameda. Luckily, it’s just across the bay so no hotels and I won’t have to see the Denver airport again–which I’ve been through SIX times the past two months). 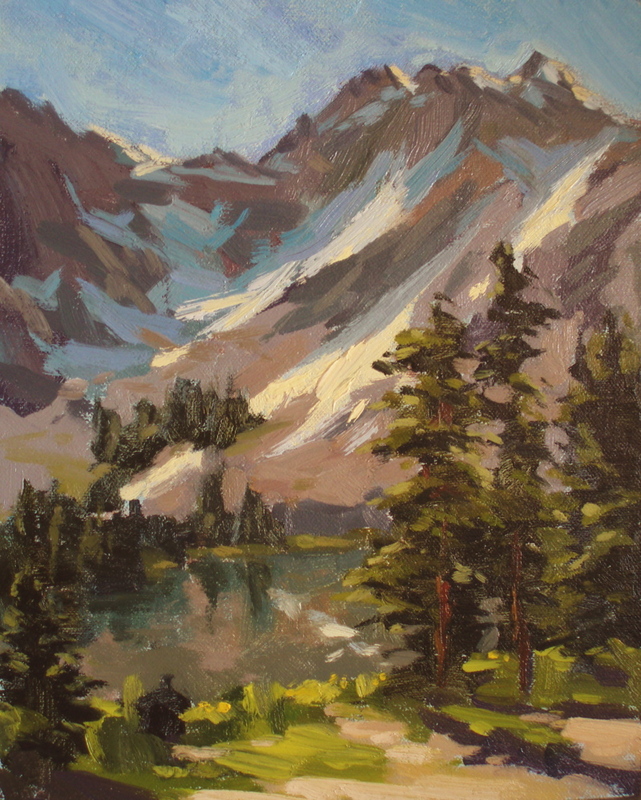 Randy Sexton was good enought to give me some tips on where to paint…who knew Alameda had beaches? 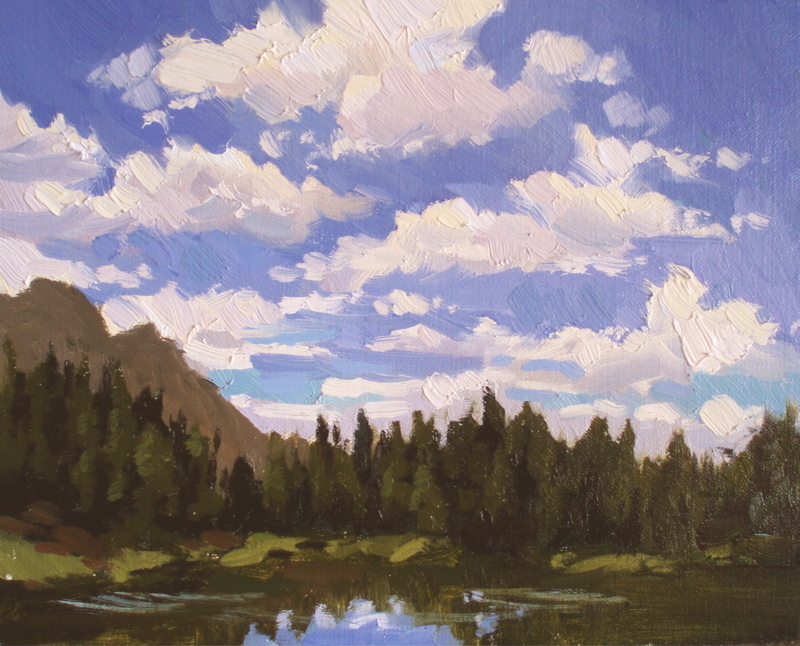 Then the next plein air event is San Luis Obispo Plein Air, October 1-7th. PS. Click the fireworks image to the left to see a video. 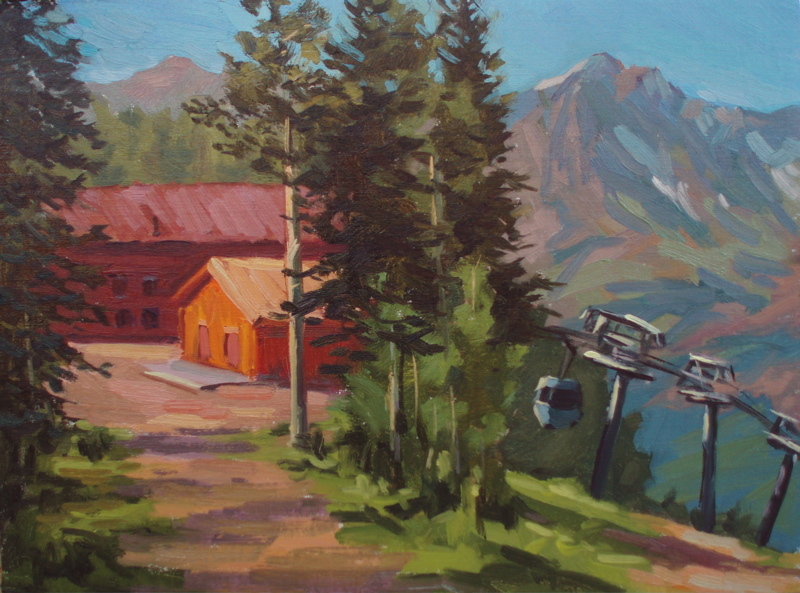 I’ve listed in the table below the remaining Telluride paintings available. 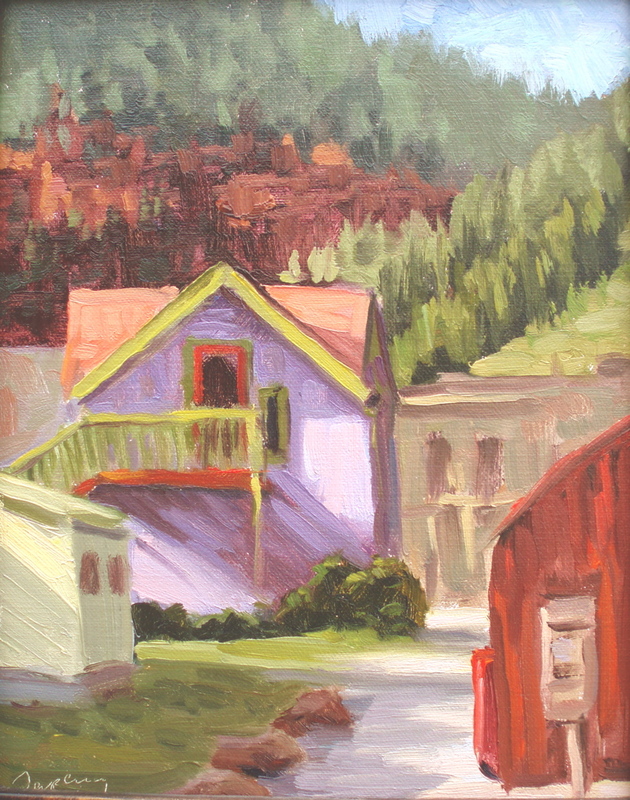 I did give “Fir Street, Telluride” to the Opera House on consignment as they do continue to sell paintings throughout the year. If you’re interested in any of the remaining works below, make me an offer (will sell framed or unframed). Click to enlarge. CHEERS!